0432 is one of Li Ming Tea Factory's best Pu'er tea. 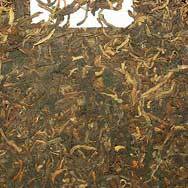 Even from the appearance of the tea leaves, you can easily tell that it is made from high grade materials. 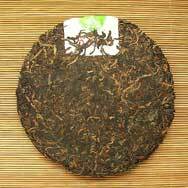 Though it is still young for a raw tea cake, the signs of aging are already beginning to show. 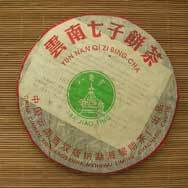 We believe this tea cake has the potential to match, or may even surpass Bajiaoting Yun Wu (2001), which is another excellent tea cake from Li Ming Tea Factory. All in all, 0432 Bing Cha is a good tea with great potential. Pu'er tea collectors would not want to miss this. I would say that this is a good puer. It has depth and strength, but is maybe a bit to astringent yet. I guess that will change with some years of aging.